My first impressions of Istanbul were that…it looks quite similar to every other westernised major city: British high street chains, McDonald’s, a mixture of French, Italian and Mediterranean architecture. Other than the distinct female Islamic dress (and, admittedly, the thousand and one mosques scattered around town), I could have been anywhere in the world when I set foot outside of my hotel. It seemed a shame that the thousands of years of the city’s Byzantine history could be reduced to such as small piece of land in the Sultanahmet District of Istanbul. However, as it happened, this was where I was headed. Having arrived bleary-eyed at the hotel as the clock in the Hilton rang twelve times the previous night, I had, by 12.05am, a rough tour sketched out on a free tourist map handed out by the slightly confused receptionist. I normally feel a genuine tinge of excitement at picking up a map, making up a route and setting off exploring with no constraints: no traffic, faulty public transport or people can stop me from larking about. This time was no different. From there, I headed down the steep heel towards the Bosphorus – a motorway for large, very large, extra-large and #####-large ships, and ran along it for 20 minutes or so. The combination of their horns being blown as they sailed past and the calls to prayers coming from all the mosques wasn’t necessarily pleasurable music but it was an “auditory sensation” for sure to accompany me as I went back possibly the coolest ever set of stairs, a multi-coloured jamboree of freshly painted fun. People were still staring at me and my attire and, aside from the fact that it was bloody cold, I was increasingly wishing I’d worn slightly more clothes to be more incognito. Or just looked a little less like a weirdo. 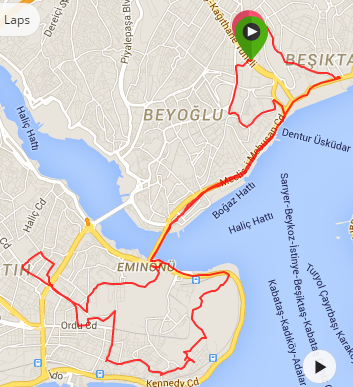 I stayed in Europe and crossed the Bosphorus into Sultanahmet. My ‘massively-researched’ tour was initially meant to take me all around the peninsula but I spotted some greenery and took a sharp right into what I’d find out was Gulhane Park, an absolutely stunning park – even in February without any leaves or flowers. White benches, nicely landscaped undulating hills and amusing decorations made me picture this as an idyll in summer (though maybe only before 6am before the crowds/heat kick in…). I went past the famous Topkapi Palace, its adjoining harem and arrived at the top of the hill next to the Red Mosque, a behemoth of a mosque which had regularly swapped hands between Christians and Muslims over the past centuries depending on, erm, who had the largest swords I guess. From there, I made my way towards the Blue Mosque (they ran out of time to name them properly…), another huge and impressive building. My thriftiness was prickled by the sight of a “Free Entry” sign but I was quickly turned away due to my bare arms and legs so off I was again (I returned later that day with proper clothes – in hindsight, maybe they were just being super thoughtful and wanted to make sure everyone stayed warm in this weather). 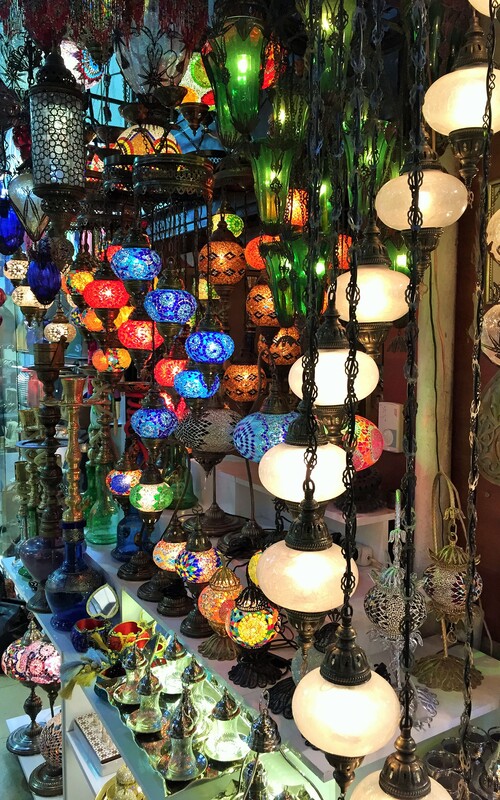 I had a quick look at the Grand Bazaar – Grand and Labyrinthine it certainly is, before setting off to get a little lost in the backstreets. The apparition of white dress shop after white dress shop suggested I had landed in the Wedding District. Shortly after that, the cats came out in force. White dresses then cats … and who said cat ladies were a myth? 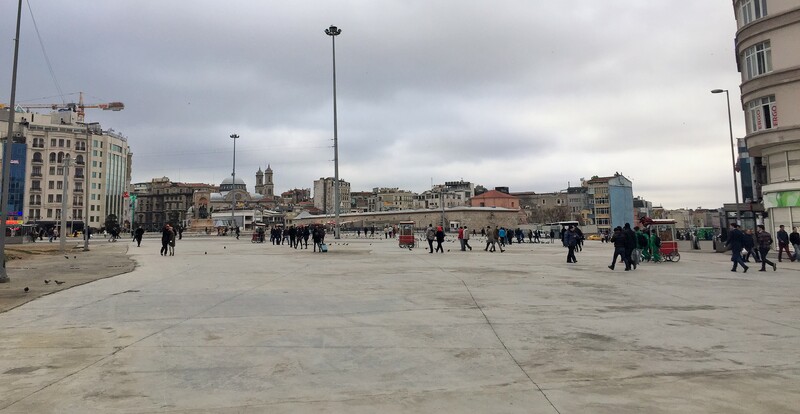 I followed the Roman Aqueducts westwards towards one final mosque (Fatih Camii). By this point, they were getting a little like zebras on a safari – exciting at first, a little mundane by the hundredth. I mean, it’s not like I was looking at thousands of years of history and got blasé in the space of two hours? Oh, right. Virtually shivering from the cold, I headed back towards town and over the Ataturk Bridge again. The fishermen were still staring at me oddly. One started talking at me, gripped his body and pretended to share and laughed with his mates – even I could understand the subtext of this acting was him asking me whether I was mad. So I smiled and ran off. Had they taught Turkish in school, I would probably have been a little more eloquent and answered something along the lines of “Yes”. And then run off. 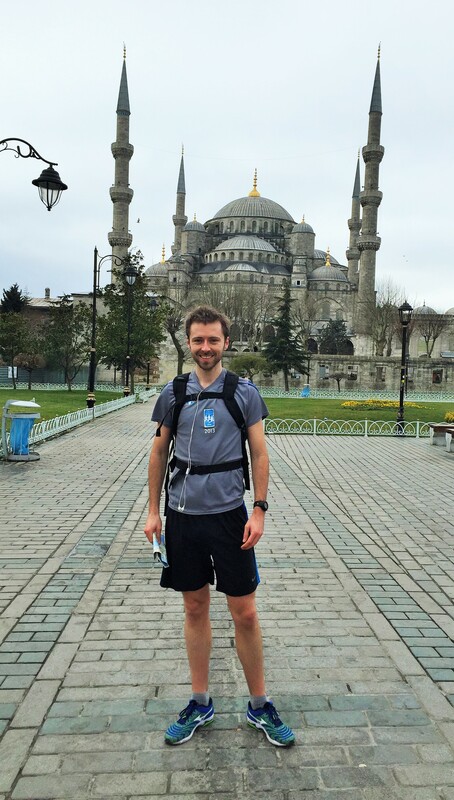 I had briefly contemplated running all the way back towards the official Bosphorus Bridge which crossed into Asia but cut that bit short due to impending hypothermia, a bursting bladder and time running out. 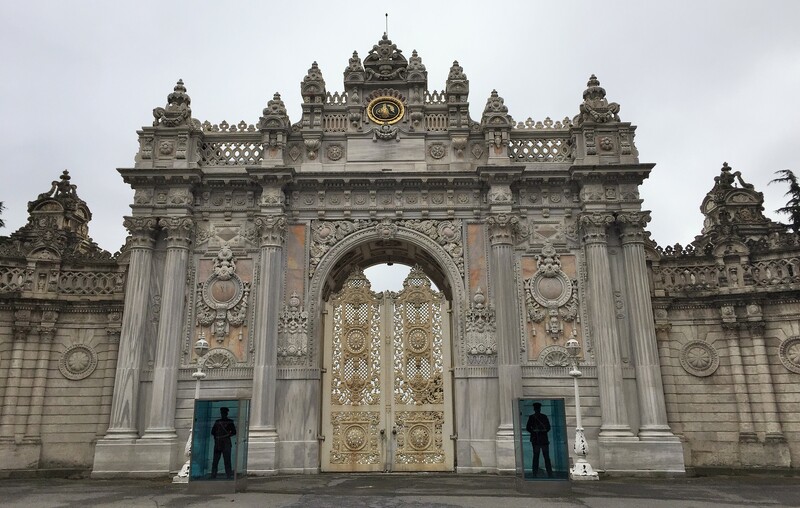 My last tourist spot was Dolmabahce Palace Museum, where the poor guards are kept inside glass boxes of less than one square metre in size. I assumed it was to protect them from passing-by shooters. Or maybe from the cold. Or maybe it’s a punishment for bad behaviour. 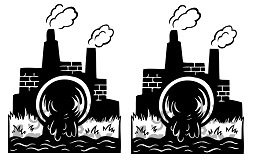 Either way, it seemed pretty cruel. And, with that, I was back at the top of the hill. 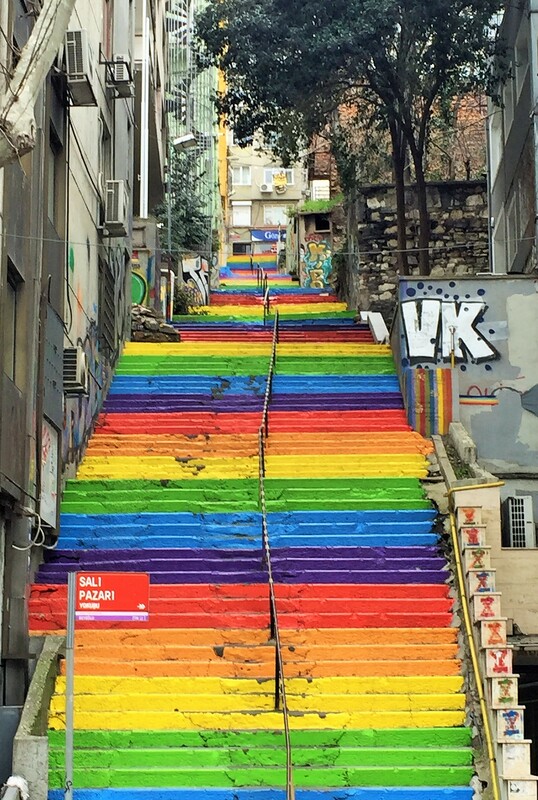 For all of the briefness of my visit, Istanbul is a lovely city – one with a fraught history and some social unrest but a beautiful one nonetheless. Admittedly, Istanbul is 5,300 square km in size and I saw 20km of it but, you know, first impressions and all that. Next stop: Kazakhstan in winter. At least that should be nice and warm….